Dr. Mark Dyal is an American scholar and writer. He has an M.A. in black studies and a Ph.D. in anthropology. His dissertation is on Italian “Ultras” — soccer hooligans and skinheads — focusing on their “agonistic” subculture and its roots in Italian fascism; in Counter-Enlightenment thinkers like Friedrich Nietzsche, Julius Evola, and Georges Sorel; and in the indigenous European resistance of globalization, liberalism, and immigration. It begins with On the Genealogy of Morality. It accepts the challenge of Nietzsche’s critique of morality, of his presentation of the origins and omnipresence of ressentiment and bad conscience. It explains what we must do to free ourselves from the reign of reactive forces. It is a philosophy of extreme affirmation, one that makes a metaphysics of force and desire. It is a philosophy – perhaps the only post-Nietzschean philosophy – that embraces the implications of his thought without reservation and without fear (which is not the same as without compromise). It is a philosophy that demands only one thing: that we think differently – that is to say, critically. The hard part, though, is in actually doing so. Because not only the content, but also the form, of how we think is given us by the modernity we so despise. This idea is what makes reading Gilles Deleuze and Félix Guattari so challenging, because the content of their philosophy is a demonstration of how radical – how nonsensical – thought must be if it is liberated from modernity. As with the band of loosely conjoined thinkers that we call the New Right, Deleuze and Guattari base their attack on modernity on Nietzsche’s de-naturalization (and re-naturalization) of morality. However, where the New Right thinkers critique modernity from the standpoint of Nietzsche’s explanation of the Jewish slave revolt in morality (presented in the Genealogy’s First Essay), Deleuze and Guattari use the presentation ofressentiment and bad conscience (in the Genealogy’s Second and Third Essays) as the ground for a revolution in thought. It is hoped that, by incorporating the New Right and the philosophy of Deleuze and Guattari, we might actually complete the mission of theGenealogy and more fully realize Nietzsche’s revolutionary potential – and our own. However, any list of Counter-Enlightenment thinkers is incomplete without the names of Gilles Deleuze and Félix Guattari. Like their May 1968 contemporary Michel Foucault, Deleuze and Guattari wage war against reason, freedom, democracy, and humanism, explaining the tyranny and reactive forces triumphant in each of them. It is a conundrum not lost on the liberal Leftists of the Academy: if it were the case that only the Right opposed modernity on behalf of cultural, political, and social aristocracy, no one would have noticed the continued power of the Counter-Enlightenment; nor perhaps when former colonial subjects like Amilcar Cabral and Frantz Fanon had the impudence to discount the value of Enlightenment ideals, for what could Nietzsche have possibly meant to them? But, when modernity was attacked by French academics, well schooled not only inliberté, egalité, and fraternité, but also in the essentials of the logocentric secular philosophy of Man and the State, the liberal Academy not only took notice, but also sought ways to use the new illiberal philosophies of these “postmodernists.” In some cases, like Jean Baudrillard, most of what is said against modernity is interpreted as an easily assimilable attack on Ronald Reagan’s America. In other cases, like Michel Foucault and Jean-François Lyotard, the objects of scorn – governmentality, power, and metanarratives – are mistakenly believed to be the problem of clock-punching proletarian wage slaves. Finally, in the case of Jacques Derrida, the methodological destruction of value and meaning is all too vengefully turned against the canon of Western literature, without the slightest inkling of how it undermines their own cushy authority. In appropriating the illiberalism of these philosophers, the liberal Academy diffused the revolutionary potential of their thought. Instead of finally destroying the operative regimes of morality and truth in the modern West, the liberal Left used postmodernism to undermine instead “white privilege,” “racism,” and “patriarchy.” In other words, the liberal Left hijacked an illiberal conceptual revolution and brought it to a fight against conservative Rightist liberalism. However, the illiberalism of postmodernism’s skillful demolition of the foundations of the modern West paves the way to a final reconciliation of the Left and Right. 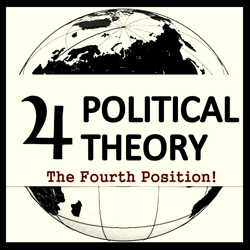 Richard Wolin merely alludes to this possibility, mostly because, as a textbook liberal Leftist, he understands the New Right as a collection of vulgar anti-Semitic, anti-immigration, racists without anything to offer political philosophy beyond low-brow hysteria and fear-mongering: in short, the typical reactionary capitalist swine that Trotsky railed against. Thus, while Wolin concedes that postmodernism anticipated the arrival of the Nouvelle Droite by undermining the very values of “Western civilization” (a mistake New Right thinkers also make by reading postmodernism as anti-Western instead of anti-modern) – including relativism! – he fails to consider how useful either group might be to the other. In many ways, both conceptual and political, the contemporary New Right is the promise of the reconciliation between the illiberal Left and Right. In short, both groups scorn modernity and the Enlightenment, and both groups have their origins in Nietzsche. Where the two diverge, though, is in problematizing the liberal state and in rehabilitating a pre-modern form of life. Whereas postmodernism often aims each of its attacks at the state, the New Right has little to say about it beyond the utopia of the ethno-organic-state. Conversely, the New Right maintains a super-legitimate claim to the Counter-Enlightenment by revitalizing pre-modern/pre-Christian European life forms, while, for the most part, postmodernism merely mines the Classics for useful sources without desiring to create a new narrative on which to found truly post-modern life. These two counter-forces, however, need not be mutually exclusive. This becomes clear when we read Deleuze and Guattari, two illiberal philosophers so radical that they still remain unreconciled with the liberal Left’s political/conceptual agenda. Deleuze and Guattari were both born in Paris to petite-bourgeois fascist fathers. While Guattari’s was a member of the interwar Croix-de-Feu, Deleuze’s was an anti-Semitic sympathizer of the Croix who opposed the Popular Front and presidency of Léon Blum. During the war Deleuze was sent to Normandy so as to continue his education without the disruptions of the Occupation. He was too young to participate in the war, but his militarily trained older brother was killed while working for the Resistance. It was in Normandy that Deleuze began studying philosophy. For his part, Guattari’s family stayed in Paris during the Occupation, and, despite his family’s support of Vichy, he was enamored of the Resistance. Already considered a prodigy, Deleuze moved back to Paris after the war to continue his studies, while Guattari (five years younger than Deleuze) joined a network of student hostiles and became a violent Trotskyite anarchist. Both would ultimately find their way to the Sorbonne’s philosophy department, Deleuze after failing to qualify for the École Normale Supérieure, Guattari after quitting pharmaceutical college; although they did not meet until 1969 when a mutual friend introduced them for a conversation about Lacanian structuralism. In the meantime, Guattari continued his subversive Trotskyite politics, joining and/or infiltrating several Communist parties, and also becoming an apprentice to Jacques Lacan. This led him to get involved with radical psychotherapy and the La Borde psychiatric clinic in the Loire Valley. It is his combination of Marxian anti-party politics and Lacanian structural psychoanalysis that eventually shapes the form of his philosophy with Deleuze. Coming to maturity in the shadow of phenomenology and the structuralisms of Ferdinand de Saussure, Claude Lévi-Strauss, and Jacques Lacan, which refused to differentiate between democracy and fascism – seeking instead to “dissolve” the conception of Western man that made both possible – it is no surprise that Deleuze found it natural to critique the foundations of liberal modernity. But unlike Guattari, Deleuze’s politics were, and would always be, subtle and seemingly inconsistent. While Guattari was a literal street fighter, Deleuze was an extremely critical philosopher who used his vitality to do battle with the history of philosophy. These battles were fought in order to exalt what he saw as a small elite handful of “non-philosophers” – or non-traditional, non-State philosophers – whose thought served no purpose for the liberal State. For Deleuze, traditional philosophy functions on the basis of codes that have effectively turned into a “bureaucracy of consciousness.” The task of his philosophy is to revolutionarily controvert traditional philosophy by creating something that will not allow itself to be codified by the State. Shifting now to the language he later used with Guattari, these codes become the conceptual foundation of his political philosophy, allowing him to ground desire, active forces, and reactive forces in the bodily, instinctual, and societal strata that give form to human life. The codes of which he speaks function both individually and collectively; ordering life, determining its forms, boundaries, and significance. Thus, while all of his Sorbonne classmates were de rigueur Marxists and phenomenologists – political and philosophical systems, that is, that fail to problematize the metaphysical belief in a rationally thinking and acting subject whose experiential nature (it just so happens, evidently) is perfectly compatible with the terms and conditions of the modern bourgeois form of life – he was expounding the virtues of thinkers like David Hume, Henri Bergson, and Friedrich Nietzsche, whose work demonstrated the fragility of the habitually and uncritically accepted model, or “image,” of thought in the West. The image of thought is the “image thought gives itself of what it means to think.” In philosophical terms, the image of thought is an immanent plane or set of pre-philosophical presuppositions that condition the determination of problems and creation of concepts. In the case of Descartes’ Cogito, the presuppositions that structure thought are identified by Deleuze as the essence of the dogmatic bourgeois image of thought: thought is a natural human capacity; it naturally possesses a good will and an upright nature; it has a natural affinity with truth, so that it is error and unsound thinking must be eradicated. Most importantly, though, thought is based on recognition: good morning; this is a train; I am a man. This recognition presupposes the harmonious coordination of each of the human faculties that relate to the different representations of a single object. This further implies an underlying agreement of the faculties themselves: the thinking subject. But this is only the most timid aspect of thought that functions at the most banal level of life. That it has been selected as the model of thought – even functioning as the dominant paradigm of philosophical thought in the modern West – demonstrates why we no longer distinguish between thinking and knowing. In Deleuze’s mind, this image of thought is a “betrayal of what it means to think and of life,” as it sustains a complacent conception of thought that is incapable of critiquing dominant values. Deleuze found his counter-image of thought in the then-largely-unknown-in-France thought of Friedrich Nietzsche. Firstly, the rational Cartesian subject was non-existent in Nietzsche’s work, replaced instead by a bodily-inscribed chaos of competing wills, instincts, and forces; making of thought a problem instead of the basis of humanness. Secondly, Nietzsche’s thought was affirmatively critical of dominant bourgeois values. Unlike Kant, who critiqued certain truths, certain beliefs, and certain morals, Nietzsche critiqued truth, faith, and morality. He made a smooth space of the mountains and molehills modernity had created in its own decadent image. In language closer to Deleuze and Guattari’s spatial dynamism of A Thousand Plateaus (1987), Nietzsche creates thoughts no longer suffering the administrative machinery or moral economy of the state, but that are instead displaced into frontiers and labyrinthine streets where new movements and distributions become possible. Deleuze’s Nietzsche and Philosophy (2006) pushes Nietzsche’s thought to its absolute limit, making it clear that there can be no simple Manichean shift between active noble forces and reactive slave forces in order to transcend what is modern in each of us. In other words, there must be “no simple substitution” of values, but a radical conversion of valuing itself. Transvaluation thus becomes less about a genealogy of oppositions between the Classical world and Judeo-Christian modernity than about re-constituting the very ground of human thought. As mentioned above, where the New Right gravitates toward On the Genealogy of Morality’s First Essay, Deleuze concentrates on its Second Essay. This gives him an advantage in understanding the deepest implications of Nietzsche’s thought: namely, how even those on the most radical edge of modernity are still children of ressentiment as long as they think with bourgeois modernity’s image of thought. The instinct of revenge is the force that constitutes the essence of what we call psychology, history, metaphysics, and morality. The spirit of revenge is the genealogical element of our [i.e., modern] thought, the transcendental principle of ourway of thinking. [. . .] We do not really know what a man denuded of ressentimentwould be like. A man who would not accuse or depreciate existence – would he still be a man, would he think like a man? Would he not already be something other than man? To have ressentiment or to not have ressentiment – there is no greater difference, beyond psychology, beyond history, beyond metaphysics. Evaluations, in essence, are not values but ways of being, modes of existence of those who judge and evaluate, serving as principles for the values on the basis of which they judge. This is why we always have the beliefs, feelings, and thoughts that we deserve given our way of being or our form of life. There are things that can only be said, felt, or conceived, values that can only be adhered to, on condition of “base” evaluation, “base” living, and “base” thinking. This is the crucial point: high and low, noble and base, are not values but represent the differential element from which the value of values themselves derives. Gilles Deleuze, Negotiations, 1972–1990, trans. Martin Joughin (New York: Columbia University Press, 1995), 133. Nietzsche de-naturalizes morality by showing its genealogical association with certain reactive human forces. He re-naturalizes it by suggesting ways to judge that re-connect active men with their natural instincts. Richard Wolin, The Seduction of Unreason: The Intellectual Romance with Fascism from Nietzsche to Postmodernism (Princeton: Princeton University Press, 2004), 269. 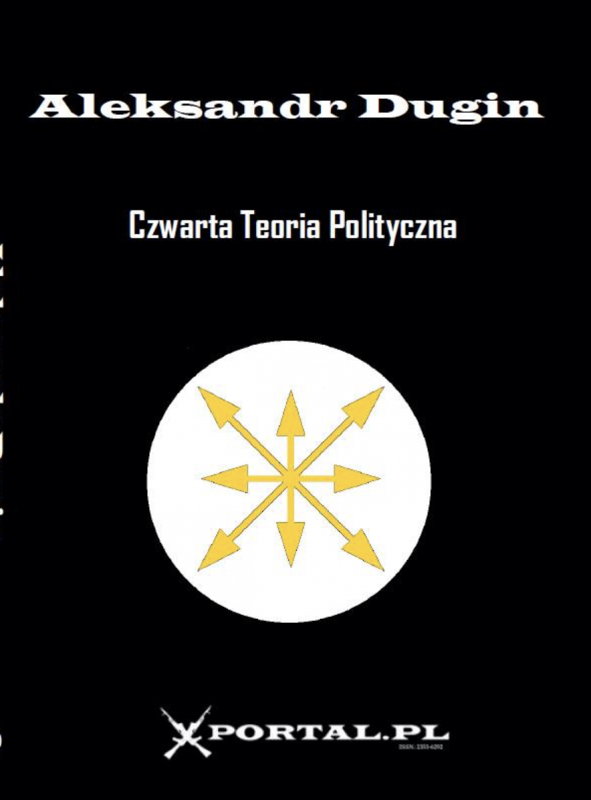 Wolin’s book is invaluable as a demonstration of the distance between the Left and postmodernism. François Dosse, Gilles Deleuze and Félix Guattari: Intersecting Lives, trans. Deborah Glassman (New York: Columbia University Press, 2010), 26, 89. While Dosse’s book is one of the most effective philosophical biographies I have read, it fails to consider what might have prompted both Deleuze and Guattari to reject their fathers’ Far Right politics. One suspects that Dosse’s progressivism leaves him uncritical of parameters of such a betrayal, as he devotes one paragraph to Guattari’s conversion, and hardly a sentence to Deleuze’s. In both cases the rejection of both father and Right politics is presented as natural, just, and logical. Adrian Parr, ed., The Deleuze Dictionary, Revised Edition (Edinburgh: Edinburgh University Press, 2010), 160. Gregory Flaxman, Gilles Deleuze and the Fabulation of Philosophy: Powers of the False, Volume 1 (Minneapolis: University of Minnesota Press, 2012), 56. Gilles Deleuze and Félix Guattari, What is Philosophy?, trans. Hugh Tomlinson and Graham Burchell (New York: Columbia University Press, 1994), 37. Paul Patton, “Introduction,” in Deleuze: A Critical Reader, ed. Paul Patton (London: Blackwell, 1996), 6. Gilles Deleuze, Nietzsche and Philosophy, trans. Hugh Tomlinson (New York: Columbia University Press, 2006), 175. Deleuze, Nietzsche and Philosophy, 35. Deleuze, Nietzsche and Philosophy, 1–2. Part One of this examination of the philosophy of Gilles Deleuze and Félix Guattari from a radical New Right perspective briefly introduced Deleuze and Guattari, placed their thought within an illiberal Leftist variation of the Counter-Enlightenment, and then grounded that thought in Deleuze’s reading of Nietzsche’s On the Genealogy of Morality. While it is hoped that Part One’s radical re-evaluation of postmodernism is not lost on the reader, it is more important that we understand the Nietzschean current that courses through Deleuze and Guattari’s philosophy. This current will be familiar to any of Nietzsche’s closest readers, although it may be put to different uses than we are accustomed to. Why, then, do the masses shun revolution? The easy answer is because they desirehomo economicus, the comfort and safety of the liberal State, and the productive and consumptive possibilities of capitalism. The more complicated answer is that homo economicus, the State, and capitalism are easy investments for our instincts and desire. These are not concepts that seek to create more inclusion in the modern project, but to offer a way beyond that project. Nomos, as we have already seen, was developed as a counter to Platonic forms of thought. In Capitalism and Schizophrenia it functions as a political metaphor for spatial dynamics of thought and social organization, with nomosbecoming nomadic thought and behavior, and logos, “State science,” and economic rationality. Politically, logos is the regime of modernity, while nomos leads one beyond the regime. Affirmation as Nietzsche, Deleuze, and Guattari understand it, is the basis of a noble form of life; that is, a form of life that does not condemn as its primary energy and intensity, that knows and needs nothing of an oppositional force to justify its existence, that is critical in valuation and evaluation on its own terms. In sum, it is the diametric transvaluation ofressentiment. This affirmation is what separates the “true Right” from the liberal Right, the liberal Left, and illiberal Left. We must continue to create moments of hesitation and confusion in ourselves – wherein violence forces thought to think. Through such events, thought becomes thinking, but it also becomes active instead of reactive. Nietzsche implored thought to “dance” and to become “light,” to affirm difference, distance, and becoming. But the powers of creating affirmative thought are violent, and they are the foundation of Nietzsche’s understanding of culture. Negation and ressentiment do not create culture, but only lash out childishly at the world at hand. Only that which affirms creates. But remember that we are doubly ensnared because, not only is the contemporary world the embodiment of negation andressentiment, but so is our image of thought. Yockey’s political abhorrence of liberalism perhaps explains why this is so, especially given the virtual nonexistence of the nomos-peoplehood-motherland-nation line of conceptualization in American history. Given the explanation of the liberal State in the third paper in this series, it is easy to see why America – the quintessential lapdog of capitalism – has no need of the forms of primordial codes being discussed here asnomos, but has had a great affinity for the race of the Enlightenment. That being said, the New Right elevation of race in the contemporary revolt against modernity might not belong to the smooth space in which our revolutionary potential will be realized, but – more importantly for today – it does act as a war machine that moves us toward that space. Today, beyond all utopias, white racial consciousness is a break with modernity and the needs of the liberal capitalist State. It is a line of flight beyond what this world needs from us. It makes problems of every element of control. Thus it is better off in the hands of New Right radicals than in the halls of liberal justice. It is better off asnomos than as logos.